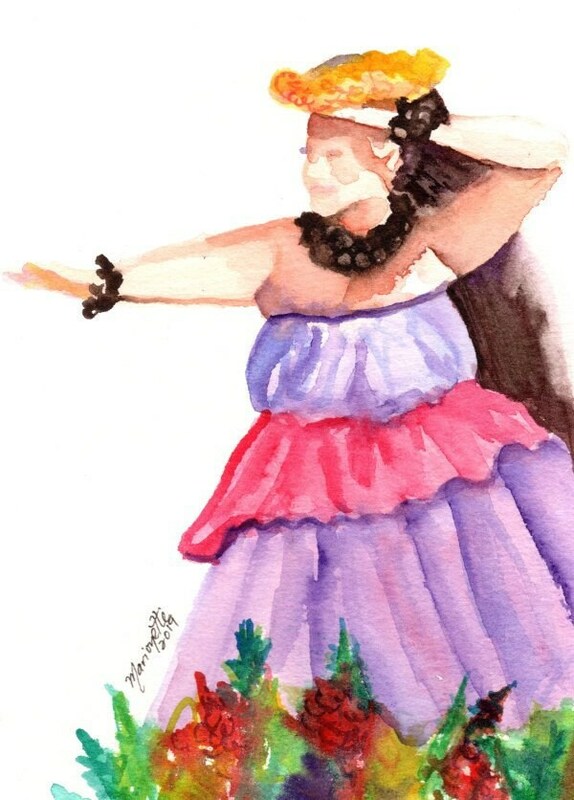 This hula dancer was originally painted with a minimalist style using a sumi e or Chinese brush painting like technique with watercolor paints on watercolor paper. My intent was to capture a quick glimpse of the hula dancer in motion. It is now available as a print on watercolor paper in several sizes. "Hawaiian Hula Dancer 3" This giclee print is signed by the artist and is printed with archival inks on radiant white watercolor paper. It is a reproduction of an original watercolor painting and comes packed in a clear sleeve with a backing board (unframed). Colors may vary slightly from monitor to monitor.